SYMPHONY X – Announce European tour in May/June 2019! New Jersey’s progressive metal masters SYMPHONY X are delighted to announce a European tour, which will take place throughout May and the beginning of June this year. The run will see the five-piece hit eleven countries in one month – with the tour kicking off on May 7th in Lyon, France, culminating in Gelsenkirchen, Germany at the Rock Hard Festival. “We are really excited about the upcoming tour! Can’t wait to get back on the road and look forward to seeing everyone again very soon!”, says the band. 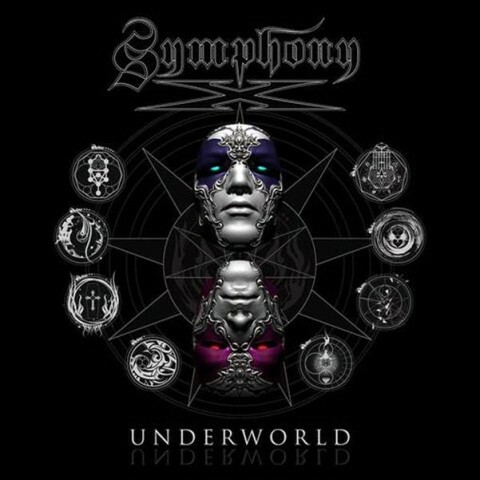 Symphony X released their latest critically acclaimed studio album ‘Underworld’ in 2015, via Nuclear Blast. They triumphed in creating a panoramic ‘album rock’ experience in an era cursed with diminishing attention spans. Heavily inspired by the Italian poet Dante Alighieri, ‘Underworld’ drew on the themes from the Divine Comedy, most notably the part on Inferno. As an homage to Dante’s use of the number 3 and its multiples, the band utilized the motif in both lyrical and melodic context. The first song on the album is a three syllable, three-note melodic phrase and in the verses, there are three references to three songs on the band’s third album, ‘The Divine Wings Of Tragedy’. A distinct murmur went around the world in 1994 when a certain six-string guitarist from New Jersey named Michael Romeo of the prog band Gemini recorded ‘The Dark Chapter’demo and sent it out to record labels. It seemed the new guitar messiah of the coming 21st Century had made himself known to the world and he’d soon launch a new band that would stir up the prog genre. With an innovative mixture of heavy metal, progressive rock and neo-classical sounds, Romeo and his men in SYMPHONY X recorded a debut album (released in Japan in ’94; released worldwide in 1995) that began their journey to create a blueprint for the young generation of prog metal bands to follow. 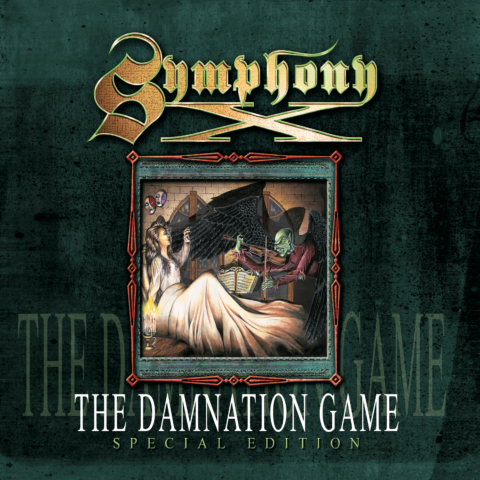 “The Damnation Game”(1995) celebrated the debut of the band‘s second asset: the charismatic, deeply emotional and relentlessly aggressive vocals of Russell Allen. 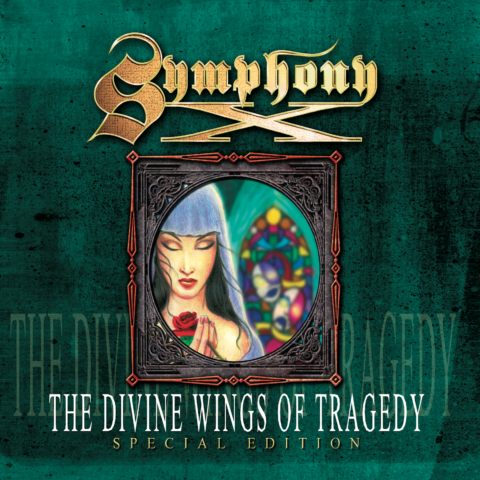 “The Divine Wings Of Tragedy” (1997) placed the emphasis on the band’s progressive approach and is considered one of SYMPHONY X’s biggest masterpieces. 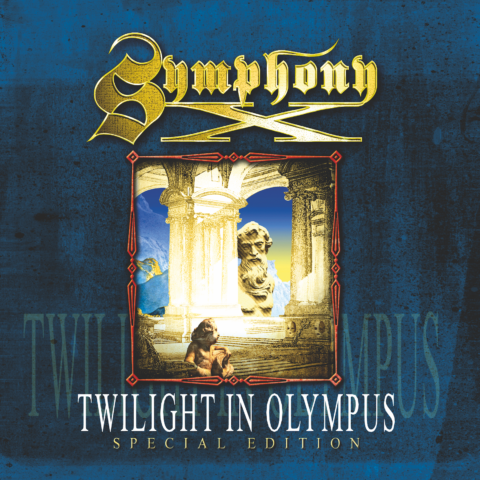 “Twilight In Olympus” (1998) livened up the band’s classical aspects with the instrumental ‘Sonata’(which is based on the Piano Sonata No. 8 ‘Pathétique’ by Ludwig van Beethoven). Via“V: The New Mythology Suite” (2000), the quintet delivered their first concept album at the turn of the millennium that dealt with the myth of Atlantis. “Live On The Edge Of Forever” (2001) was visual proof that the band could easily transpose their complex material onto the stage. Oriented towards the eponymous poem by English poet John Milton, the thrashing harshness of “The Odyssey” (2002) is said to be the band’s most aggressive album to date. “Paradise Lost” (2007) is the darkest and most gothic-like work in the band’s discography. 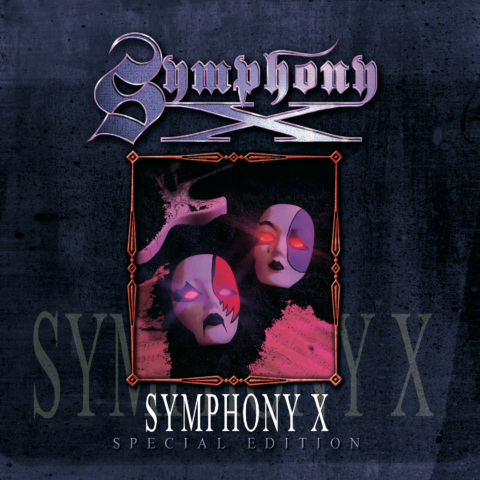 With “Iconoclast” (2011) SYMPHONY X raised the bar even further, a commanding declaration of an inventive blend of classic rock, straightforward heavy metal, and ambitious prog. Symphony X retain ownership of their first 4 albums, and for the first time all sales will go directly to the band! Symphony X and World Entertainment Inc. are excited to announce a new collaboration with Knife Fight Media! Through this arrangement Symphony X retain ownership of their first 4 albums, and for the first time all sales will go directly to the band! Symphony X made it clear that we wanted to still make our music available to all of our fans worldwide as well as make it easier for fans to get our music, this partnership made the best sense for all! Go out and pick up a copy, or stream it on your favorite platform! SYMPHONY X ANNOUNCE BLACK MAJESTY AS SUPPORT FOR DEBUT AUSTRALIAN SHOWS! Melbourne’s brilliant melodic power metal act BLACK MAJESTY, have been announced as the sole support act for the upcoming SYMPHONY X performances. With six albums under their belts & previous appearances at fests such as Wacken Open Air, Masters Of Rock, Screamfest & tour supports with the likes of Saxon, Blind Guardian, Nightwish, Hammerfall, Primal Fear, Edguy & Dragonforce, BLACK MAJESTY are at their prime! A truly worthy addition to what is going to be an incredible evening for fans of progressive & power metal!!! Finally after 22 years of trying, SYMPHONY X are making their way for the first time to Australian terra firma. Buy your tickets now. 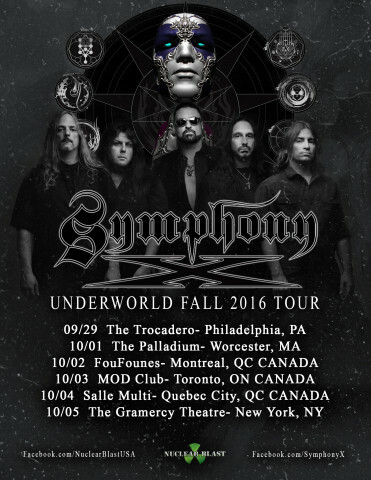 SYMPHONY X​ ANNOUNCE SELECT US/CAN CITIES 2016 UNDERWORLD TOUR DATES! Symphony X ANNOUNCE SELECT US CITIES 2016 UNDERWORLD TOUR DATES! New Jersey’s progressive metal masters, SYMPHONY X, are making a few special stops on their way to Japan’s Loud Park Festival. The limited engagement 6 show trek, will launch on September 29th at The Trocadero hit 3 Canadian cities and conclude on October 5th at The Gramercy Theatre in NYC! The band will be touring in support of their highly acclaimed ninth album, Underworld, which debuted at #36 on the US Current Chart, #6 on the Top Hard Rock, and #89 on the Billboard 200, #89). As well #103 on Canada’s national chat and #14 on the hard chart. Underworld, was crafted at Michael Romeo’s tricked out studio, The Dungeon. Check out the official track videos for “In My Darkest Hour” and “Kiss Of Fire” as well as the lyric videos for “Without You” and “Nevermore” on the Nuclear Blast YouTube channel! FOR THE FRIST TIME EVER, SYMPHONY X, ANNOUNCE AUSTRALIAN PERFORMANCES!!! Finally after 22 years of trying, SYMPHONY X are making their way, for the first time, to Australian terra firma! With a career spanning 9 full-length albums, and counting, and currently touring behind their Metal Masterpiece “Underworld”, have now set their sites on Australia! 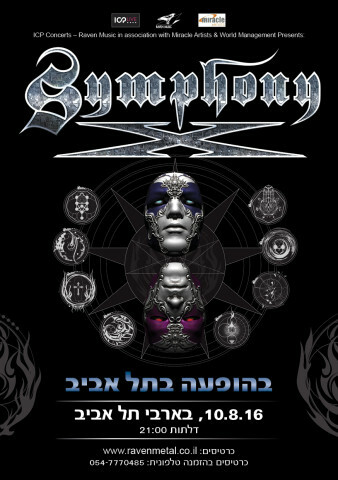 SYMPHONY X from the beginning has been known for their sprawling compositions, neo-classical guitar work, and majestic symphonic elements. 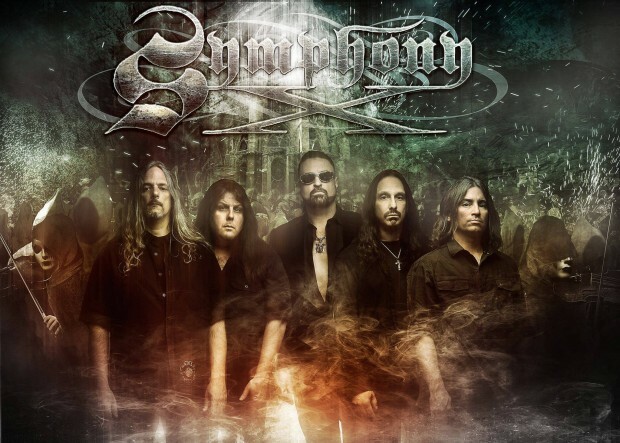 Formed by guitar wizard Michael Romeo in 1994, SYMPHONY X over the years has created an innovative mixture of Heavy Metal, Progressive Rock and (Neo) Classical hard sounds; these elements have predestined their albums for an eternity of praise! Witness the remarkable and jaw dropping abilities of Michael Romeo’s superhuman guitar shredding, complimenting Mike Pinnella’s soaring keys, Russell Allen’s striking vocals, and alongside the complex rhythm section of Michael Lepond (bass) and Jason Rullo (drums). 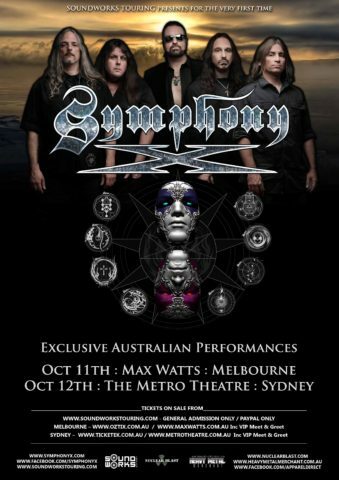 ATTENTION: TICKET DEMAND WILL BE EXTREAMLY HIGH DUE TO THESE SHOWS BEING THE FIRST EVER PERFORMANCES OF SYMPHONY X IN AUSTRALIA, SO BUY YOUR TICKETS FAST! SYMPHONY X VIP Meet & Greet Packages, strictly limited! 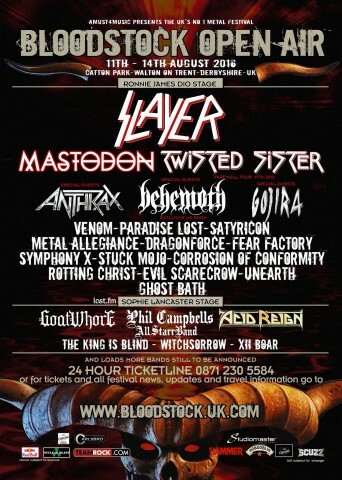 SYMPHONY X ANNOUNCE LOUD PARK 2016 PERFORMANCE! 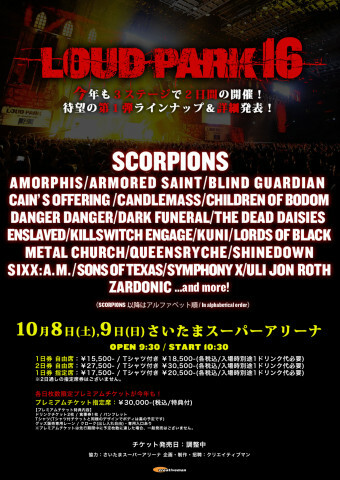 We are proud to announce that Symphony X will be performing at this years Loud Park Festival in Japan! UNDERWORLD 2016 WORLD TOUR – FESTIVALS ANNOUNCEMENT! WE ARE PROUD TO ANNOUNCE SYMPHONY X WILL APPEAR AT THE FOLLOWING FESTIVALS AND EVENTS THIS SUMMER! THIS YEARS Sweden Rock Festival! Saturday 11th June 2016 – Sölvesborg, Sweden – Sweden Rock Festival. THIS YEARS SOLD-OUT WACKEN OPEN AIRE FESTIVAL!